Are you are looking for an Apple Mac Pro logic board repair instead of a complete board replacement service in London for Mid 2006, Early 2008, Early 2009, Mid 2010, Mid 2012 or Late 2013 Intel Xeon–based workstation and server computers models? Then you have come to the right place. Mac Repair London is an established Apple Mac Pro repair store providing Mac logic board repair and replacement services to customers in London for all Apple Mac Pro desktop computer models. Fixing a defective logic board is a cost effective way to have your Mac Pro desktop computer up and running instead of a replacement board or buying a new computer. With state of the art tools and equipment, instead of replacing the complete logic board, we will replace the burned, defective or faulty components including connectors, diodes and chips on your existing logic board with new components. 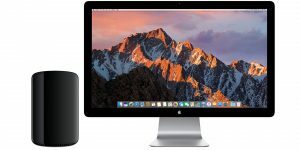 Call Mac Repair London today on 020 7394 2528 or e-mail us at info@mac-repair.london to find out how we can help you with your London Apple Mac Pro logic board repair and replacement requirements for Mid 2006, Early 2008, Early 2009, Mid 2010, Mid 2012 and Late 2013 Intel Xeon–based workstation and server computers models.